You know on the movies when 2 girls show up to a party wearing the same thing and it's "THE WORST THING EVER?" I had never really experienced anything like that...until Sunday. On Sunday I went to church. My baby sister was visiting for the first time. I was excited that she was coming. 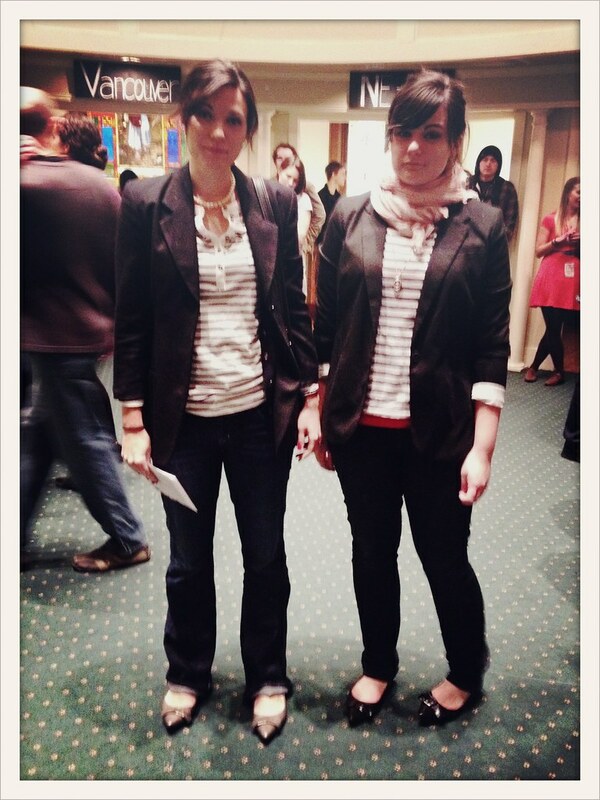 I walked in and found her in the lobby...only to discover we had on the EXACT SAME OUTFIT. Down to the shoes and the way our hair was done. It was not the worst thing ever but it was creepy. And yes, people noticed. And yes, they asked if it was on purpose. And the answer to all those questions is no. I love you sis, you have GREAT style! Thanks mom for have "twins" 8 years apart.